While the mainstream media focuses on the headline U-3 monthly unemployment statistic, there is another little-reported labor market indicator that the Federal Reserve uses to measure the strength of the U.S. employment picture. 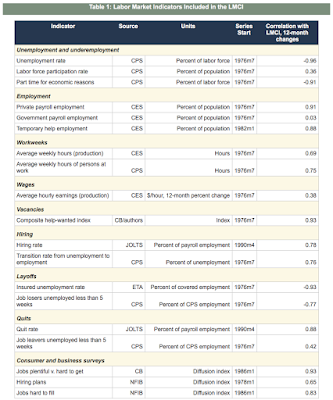 As you can see, the LMCI covers a very wide spectrum of labor market statistics including unemployment and underemployment, length of workweeks, wages, hiring, layoffs, quits and job vacancies. As I mentioned previously, this index will provide us a much clearer and more accurate picture of the strength of the jobs market than the isolated indicators that are generally reported by the media. 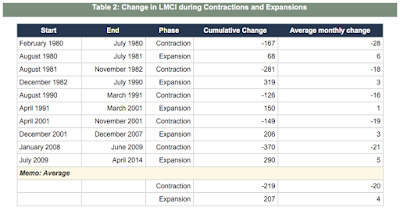 On average, over the three decade period between 1980 and 2009, economic contractions saw the average monthly LMCI decrease by 20 points and economic expansions saw the average monthly LMCI increase by 4 points. You can very clearly see how the LMCI turns negative, often just prior to the official beginning of a recession. This is quite clearly the case in March 1990, May 2000 and again in June 2007. The LMCI turned negative in January 2016 (-1.0) and, with the exception of July 2016 when it rose to 0.8, it has remained negative ever since, hitting a post-Great Recession low of -2.2 in September 2016 and is currently sitting at -0.3 (December 2016). This strongly suggests that, even though the headline unemployment number looks relatively healthy, behind the scenes, there is some fairly significant negative pressure building in the United States job market. In fact, calculations by Advisor Perspectives show that the cumulative value of the LMCI peaked anywhere from three months to seventeen months prior to the five recessions (averaging nine months) that have occurred since 1976. We are now thirteen months past the most recent peak in the cumulative LMCI. 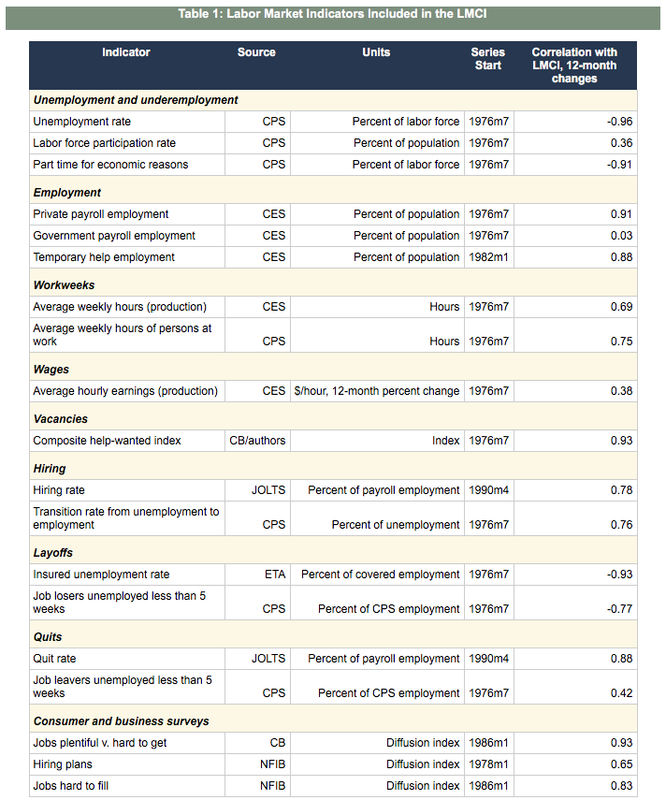 While the creators of the LMCI note that the entire history of the indictor may revise each month as new data becomes available or is revised, it certainly appears from the current Labor Market Conditions Index that the American labor market is far less healthy than what the Federal Reserve would have us believe and that we are far closer to the next economic contraction than we may hope. From the first chart it doesn't look like there will be a recession. 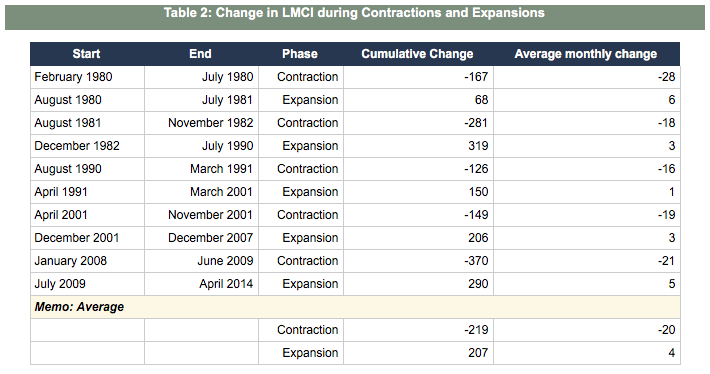 Recessions are preceded by a major plunge in LMCI without any trip back to positive. Here it moved to positive territory in July 2016. So there is still some more time to recession. It is coming but not right now. I do think a Fed rate hike will bring about a recession in the US. Things are tight. Sobering Up the Next Leader of the Free World?